The Electric Plum debuts at the Britannia Arms! 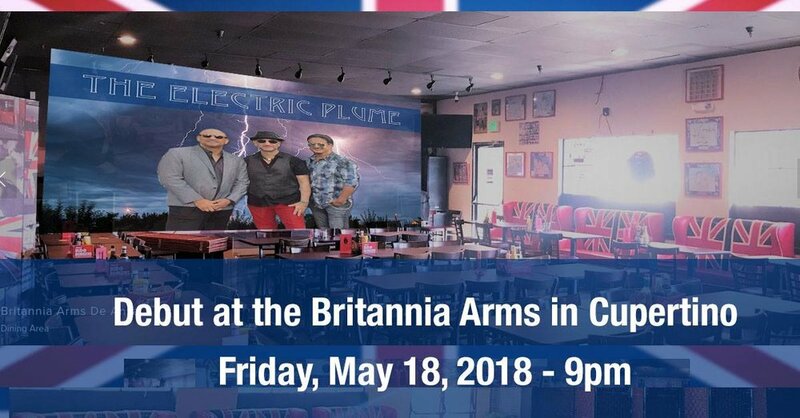 The Electric Plume is a power trio in the classic sense, guitar-bass-drums, but with a modern sensibility, drawing influences from groovy classic/retro rock bands such as the Record Company, Black Crowes, Lenny Kravitz, the Black Keys, etc. Lu (drums, vocals) and Emil (guitars) played for years in bay area favorites Dark Humor (early 90's) and Sunfur (late 90s). More recently, Eteka and Lu played in the fun, energetic Second Sun.